A wine demonstrating some personality but seems to want to remain quite reserved although gets the job done better than most. I'm not screaming from the rooftops with this although I feel quite content sipping away at it. An easy wine to put a hole in. Cool climate Syrah deliciousness. 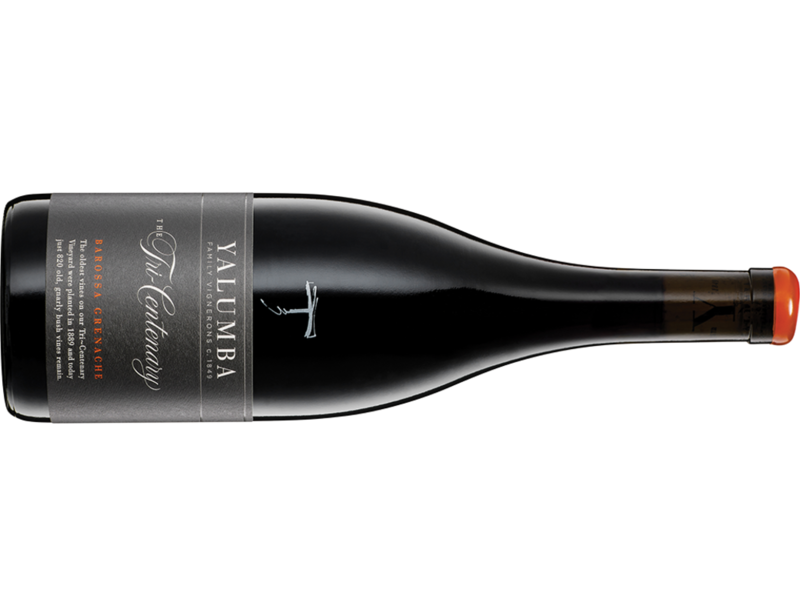 Medium bodied, cracked black pepper and red fruits are bound by savoury characters chipping away. A sticky that barely touched the sides. I enjoyed this with some apple strudel and vanilla ice cream - job done thank you very much. Bright. Racy. Vibrant. Pure fruit for your drinking pleasure. This is deliberately picked two weeks earlier than any other Chardonnay fruit on the Peninsula to capture the fruit at the height of its freshness. The wine is whole bunch pressed to old oak (7 years+). This is a community made wine crushed and fermented within the walls of the Craft Wine Store, Brisbane. 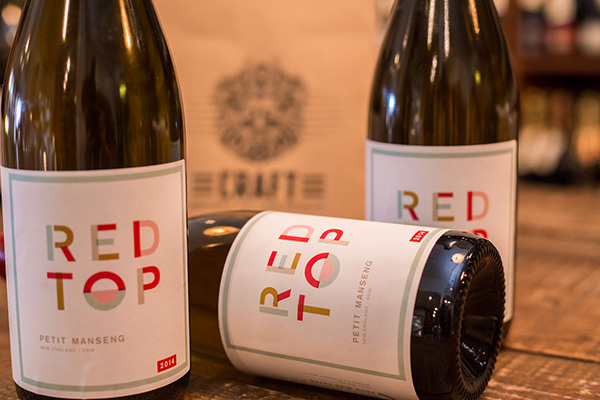 The fruit comes from Mark Kirkby's Topper's Mountain vineyard in New England with the winemaking overseen by Mike Hayes. 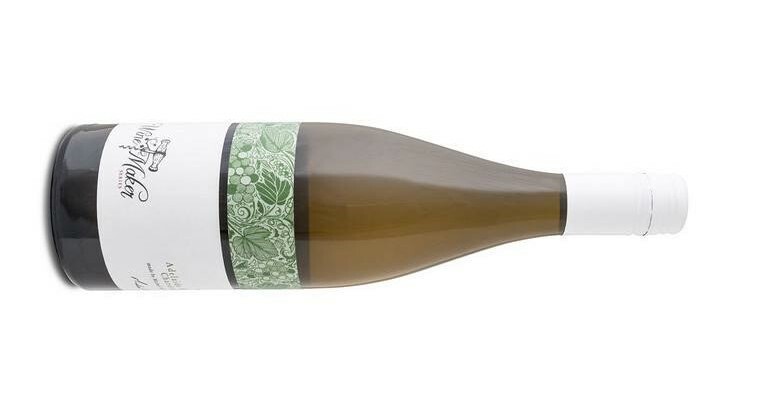 This is the first Sparkling Vermentino release from Golden Grove Estate. There's not many of these in the market place - the only other I've had was from Barossa Valley's Yelland & Papps. I was scratching my head a bit with this fizz. A 50/50 blend of Chardonnay and Pinot Noir, its appearance is not what you'd expect. You'd hope an Italian can make a decent Barbera, and as true as the day is long, here's another solid performance. Char and crushed granite (not surprisingly) aromas waltz straight up. Tomato leaf and tomato paste follow. There's a slight whiff of cola too. Juicy red cherries and raspberries run riot in the mouth with crunchy acidity mopping up the tail. I'd happily drink a few glasses of this. Burger night saw me armed with this and it didn't disappoint. A cool as label, this captures the spirit of the Samuel's Gorge experience precisely. 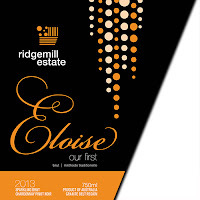 I popped in there a month ago and have since exchanged a few emails with winemaker Justin McNamee. There aren't many cellar door experiences like this anywhere. It's chilled. It's casual. You feel at home. the great city of Melbourne. I am stoked you came to visit our place. You know what; we (a chunk of the industry) under appreciate people, personality and culture in the whole matrix of creating engaging wine. If you take away the place and people wine certainly deflates to mundane nothingness. I get geology, aspect, weather, horticulture, wine shows.... but it's what a group of characters do with that makes wine pop. It's a very human thing. I am fortune to have great people here and we love where we work; a goat shed on a hill drinking with people who care." After reading that you understand the label even more - a contender for label of the year. As it wraps around 80% of the bottle you can't help but be captivated. It's colourful, playful and entertaining. An interesting collaboration project here. 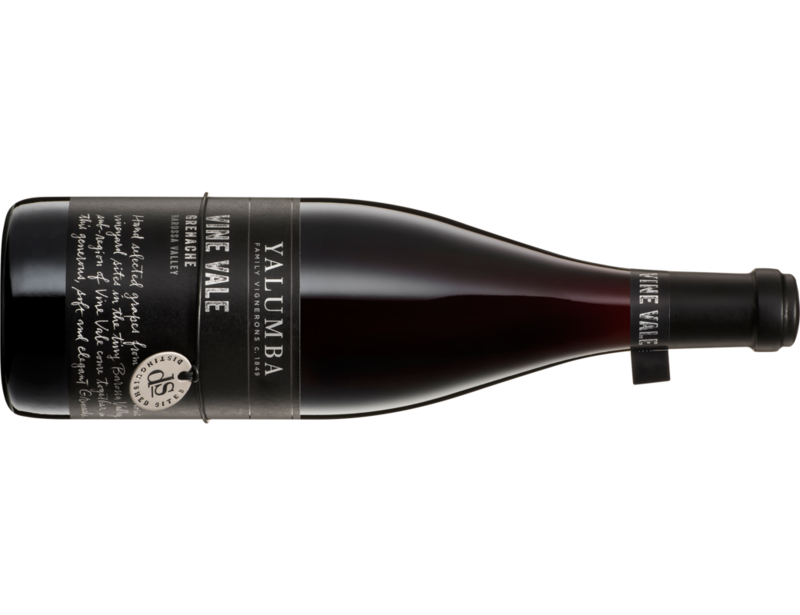 One barrel was produced by South Australian winemaker Michael Hall for sale exclusively through the Wine Experience store in Rosalie, Brisbane. A very tasty wine which is soft and possesses a calm persona. A new vineyard site. A new to addition to the Dalrymple range. Good lines and good feels here. Although it tightens up a little, there's plenty of vibrancy to get you on the balls of your feet. There's not much more to say about this wine which already hasn't been said. Scooping some serious and prestigious bling, here's yet another example that you don't have to drop a bomb to drink well. This 2015 is the first Gruner release and a 'project wine' from O'Leary Walker although I believe the 2016 is the first to hit retail land. I found this sample lying at the back of a pile - oops. A friend of mine is a big Prosecco fan. On a recent visit to his house he poured me a glass of this. Easy drinking fizz here with some residual sweetness. Sweet was the first thing to come to mind. Twenty bucks! This hits the spot and then some. A great little drink. A classic European old school style of Chardonnay here. Time has enabled this to continue to develop beautifully. I made a note when I was in Coonawarra a month ago to MC the VIP tent at the Vignerons Cup race day that despite the region being known for its reds, specifically Cabernet, that there are some impressive Rieslings and Chardonnays around. Case in point here. Pour it in the glass and whipped butter and creamy oak characters start making their intentions known. A bit heavy in the mouth with handfuls of spice. 60% saw new French oak for nine months with the remainder in one year French oak. Good refreshment here. A spicy take on Verdelho. A cheeky little Pinot Gris here outta prime Riesling country. Solid as the bank vault doors, this is an enjoyable wine sure to please. Clare and Barossa Semillon is something I've never really warmed to. 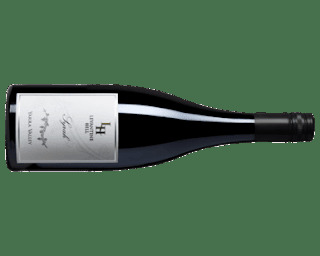 This release is a fatter and richer style - different to the fresh and vibrant styles coming out of the Hunter Valley at the moment. Keep in mind they are different climates too. Aromas of raw steak, stewed plum, it feels a bit heavy for a 2014 new release. 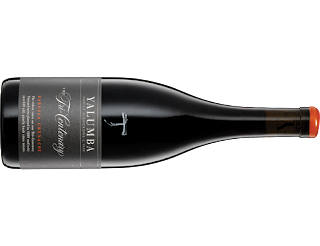 The Tri-Centenary completes the Yalumba premium Grenache range. 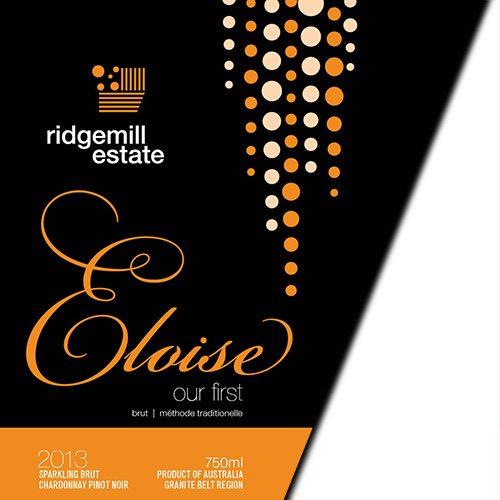 As with the Vine Vale and Carriage Block, this too was picked earlier and weighs in at only 13.5% alcohol - part of winemaker Kevin Glastonbury's new vision for the variety. A good drink with some interest for sparkling fans. I was given the privilege to be driven around the Schild Estate vineyards by vineyard manager Michael Schild. We spent some time talking and strolling amongst these four rows of gnarly old vines which were planted in 1847 - yep, 1847! Moorooroo is an aboriginal word meaning 'between two waters', that is, the vineyard sits between Jacob's Creek and and the North Para River. This is the twelfth release under this label and around 200 dozen are produced. A new fruit forward style outta the blocks here from Balnaves. ENTAV stands for Etablissement National Technique Amélioration Viticulture based in Le Grau-du-Roi in the South of France. This organisation selects, grows and tests the best clones out of France. Balnaves now have two ENTAV Cabernet clones and one Merlot clone in the ground. The Cabernet and a new planting of Petit Verdot have been blended here to produce a bright and vibrant red for immediate consumption. Winemaker Pete Bissell tells me sales have been better than expected and it is doing very well on-premise. A good drinking GSM without the fanfare. Being the entry level GSM in the range, you can see the better gear is thrown higher up the chain. Still, this holds its head up with pride. Gee I love a good GSM and this hits the sweet spot effortlessly. This is the second Baudinet release from Kilikanoon. Unfined and unfiltered, it saw 20 months in French oak. A super refreshing wine - clean, bright and fresh. No detail given which variety is used here. Pale salmon appearance, red fruits drive the bus all the way here led by cranberries, freeze dried strawberry and even a hint of pomegranate. The second release of this wine from memory - and the only wine in the Redman range released under screw cap. Hand picked from 80 year old vines, pretty good value drinking. Lots of enjoyable drinking here again from Nick Zema. Generous with round edges. Dark fruit seems bottomless and is flanked by dark chocolate, leather and subtle clove. More time in the glass reveals char or perhaps smoke. Whatever it is, I like it. Cruising to a long finish before a neat dash of spice chimes in. Did I say great drinking? Top value too. Winemaker Ray Costanzo says Chardonnay is his play thing. He continues to tinker with it and is happy with the progression it is making each year. Named Pramie (prounouced prem-ee-er) which means 'premium' or 'reward' in German, this Special Release is an acknowledgment to the family's heritage. The last time I had a look at it was back in 2015 when it was just released. Two years on and it's s still shining like a diamond. Coming off a 30 year old dry grown vineyard, this is a rich and powerful type. Verandah wine. Quality drinking with plenty of enjoyment factor. The fruit is bright and more prominent than the 2014. Purple fruit takes centre stage and drives through the middle. A lick of sweetness, but in all, it's quite satisfying. I could sit on a glass of this all night and be satisfied. Damn it's good. Every TeAro label has a story. The Charred Door Shiraz is all about a cricket game and the two teams racing off to save a house on fire. The Charred Door remains as a tribute to the community spirit in the region. 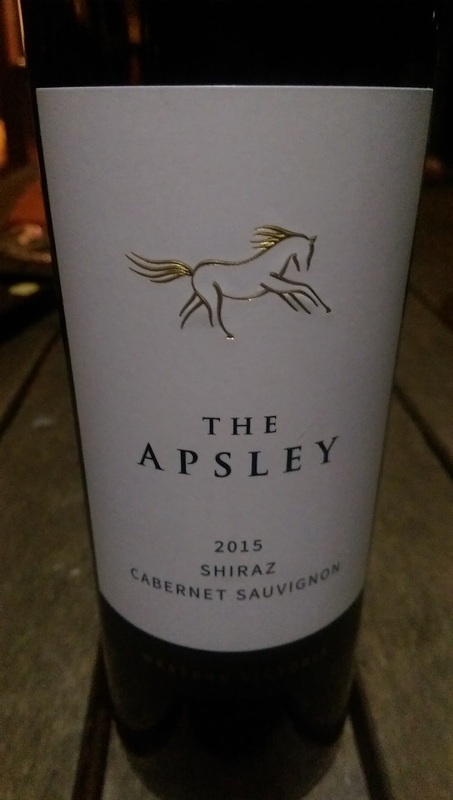 A good drink and one I kept coming back to from a line up of three Shiraz. I had high expectations of this wine but my balloon of excitement was quickly deflated. It smells warm and stewed. On first look it just seemed one dimensional. A day on there was a little flex, but still, nothing really enough to get me in my dancing shoes. Dark fruit with some apricot skin peering through are the main players. Dense in the mouth, it plants mid palate and just weighs itself down, almost a sinking feeling. A great drink this. It screams regionality and delivers refreshment in buckets. 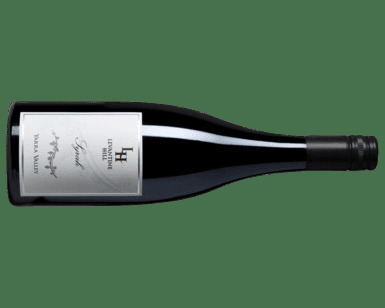 This is a new third tier Grenache in the Distinguished Sites portfolio. 300-400 dozen were produced. A delicious Rosé which oozes refreshment. Nothing Second Fiddle here either - the fruit comes off 75 year old vines. A good drink showing green apple peel and Bickford's lime cordial. Some white flower aromas hang in there too. A bit thin through the middle but with everything around it that can be forgotten. Crisp and crunchy acidity with a longer than expected length wrap it up. Kick back with a chilled glass and a smile is sure to follow. I'm good for a glass in this steamy heat. Made for the long haul, this will be humming in a year or two. Sourced from another small parcel Tim Smith has access to, Eden valley fruit steers the ship here (98%) with a squirt of Mataro. 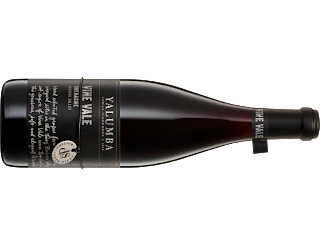 I had a look at this with Yalumba winemakers Kevin Glastonbury and Sam Wigan over a lazy lunch. 2015 is the second release with only 150 dozen produced. Big, dark and brooding weighing in at 15%. Lots of give here.